In short: Quite simply the best 3" downpipe on the market, with excellent design, craftsmanship and outstanding performance gains! For whom: For those who do not compromise on quality or performance! Details: Full 3" mandrel bent stainless steel downpipe, with metallic full flow race catalyst. Hand made in Sweden by well renowned Ferrita Motorsport. No compromise design for ultimate power gains, providing a massive reduction in downpressure compared to the very restrictive stock design. 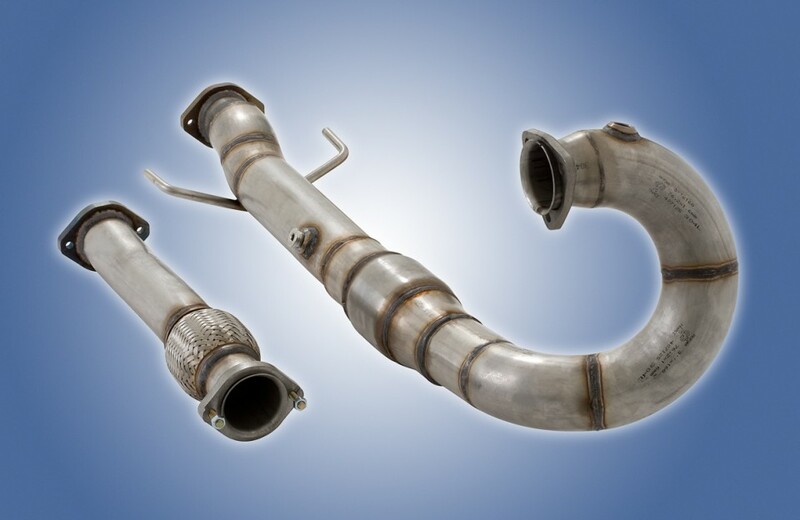 This downpipe, when matched with a free flow cat-back exhaust has been proven in our Rototest facility to 400+ hp! Ferrita´s quality lasts, and it is backed by a lifetime warrant to prove it!